As a child I remember my Grandad being right into his horse racing and greyhound racing but it's something I've never really thought about or been around to really think about. 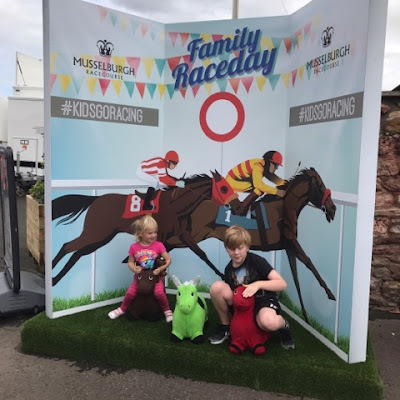 I know there's a few horse racing courses near me and have heard people talking about family days but I've just never been. 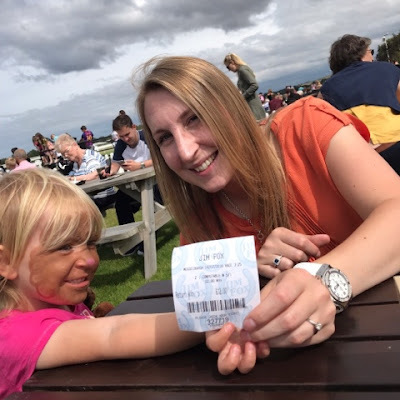 This all changed on Tuesday this week when Musselburgh Racecourse invited the family and I along to their family race day and it honestly was a total treat. The race course was quite easy to find with it being well sign posted and of course the handy sat nav just in case. Parking was free and plentiful and there was even a little shuttle bus taking you from the car park to the entrance grounds if you fancied it. Just to note that the entrance isn't far from the car park at all but it really is a great help for guests who really need it. With Logan having autism he really hates walking so we jumped on the bus to save a fuss, it was fab. Upon entering the grounds our reserved picnic table was slightly to the right of the stands and it gave a perfect view of the horses coming towards the finishing post. 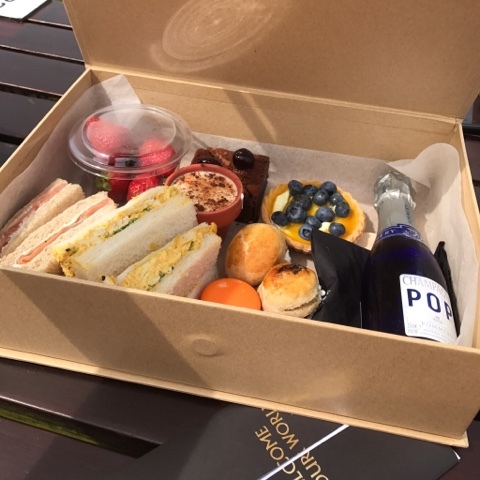 We were also treated to an amazing luxury picnic box each and free ice cream!! 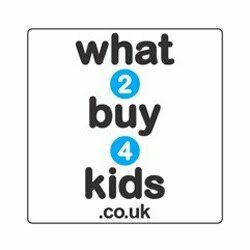 Did you know that kids go free (with a paying adult) on their family days? Plus inside Musselburgh Racecourse they had some brilliant children's entertainment for free as well! 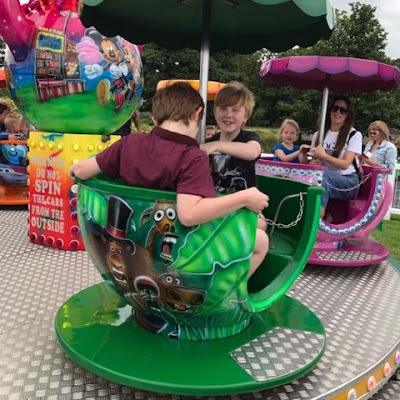 This included face painting, tea cup rides, a little merry go round, a massive Mega Motion ride and a small dragon roller coaster. It really was a fantastic day. We arrived for 12pm when the gates opened and the first race started just after 2pm (there were 7 races throughout the afternoon). This gave us plenty of time to enjoy our awesome picnic lunch and loads of time for the kids to relax and enjoy the rides. It meant everyone was pretty settled and ready for the first race to begin. I have no idea what I'm doing when it comes to betting on horses but we put on a little flurry for fun. Sad to say we never won but a lovely friend did which was really nice. 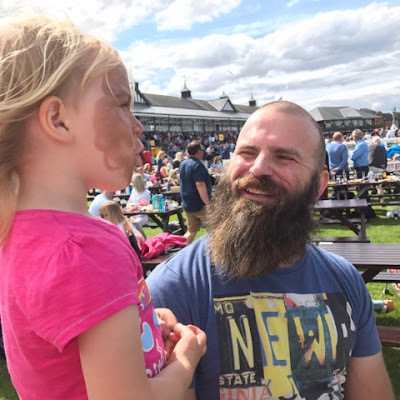 Even though we didn't win any races the Musselburgh Racecourse Family Day was absolutely amazing and I'd definitely recommend getting along to the next one if you can. Such a brilliant day out for everyone. 0 comments on "Musselburgh Racecourse Family Day with Lucas Ice Cream"